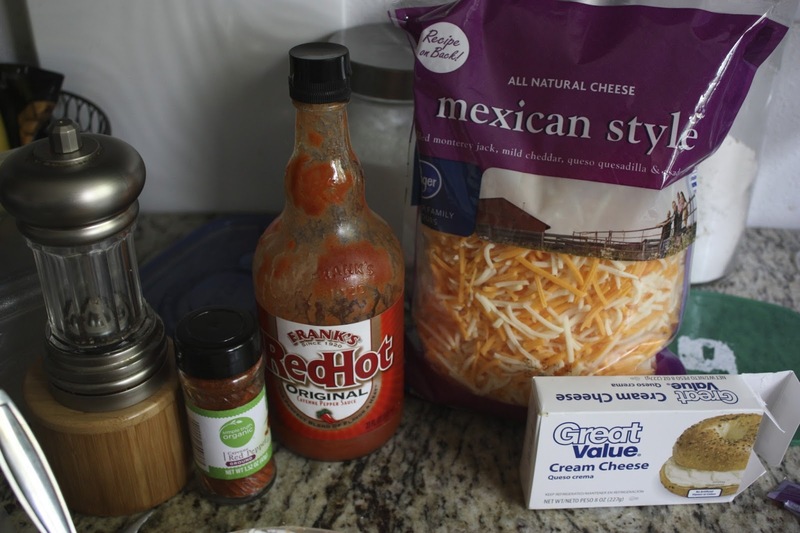 Mix all ingredients together until combined completely. Lay out a tortilla; fill with about 2-3 tablespoons of the mixture. 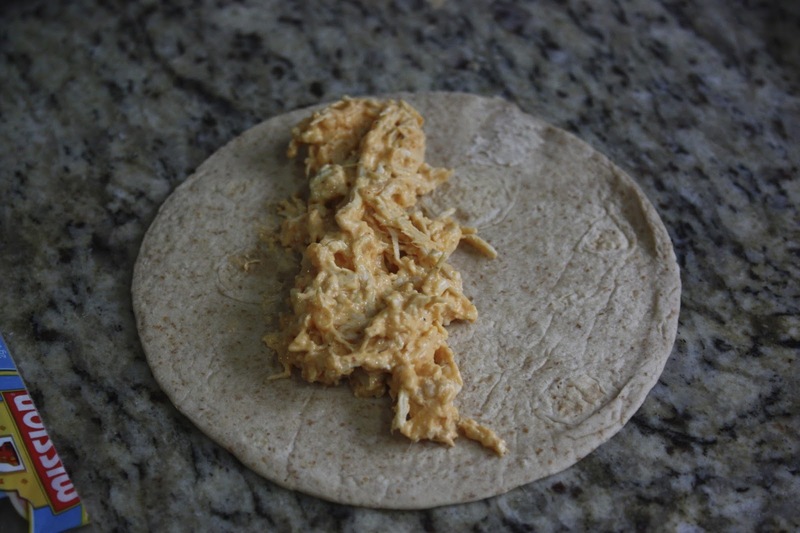 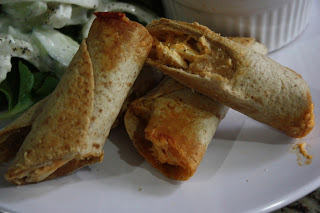 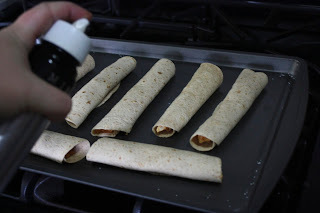 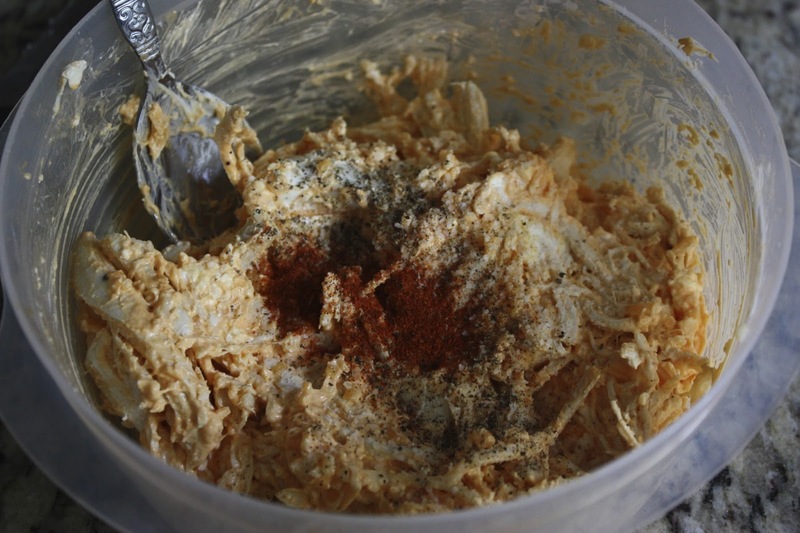 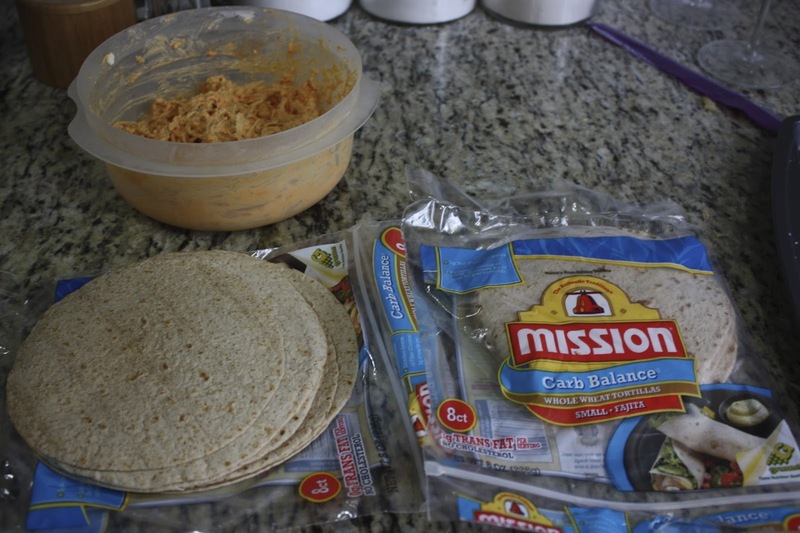 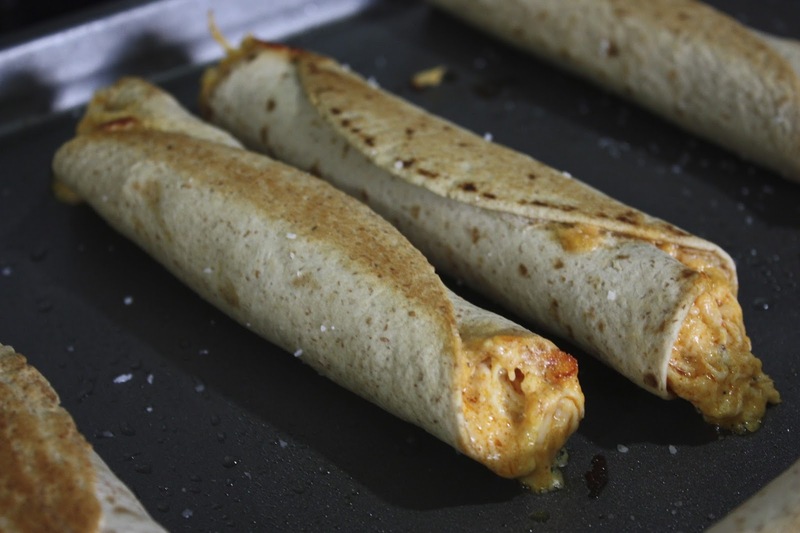 Tightly roll up tortilla and place on a greased baking sheet; repeat until mixture is gone. Bake for 15 – 18 minutes--rotate until golden brown on all sides. Serve with blue Cheese dressing and crisp cold salad.